How far would you go, for the ones you love? From award-winning writer Fiona Capp comes a novel about blackmail, risk, corruption and consequences - think Ian McEwan meets Peter Temple - set in the millionaire's playground of Portsea. This is modern Melbourne literary noir at its finest. Having lost all his family's money in ill-advised investments during the GFC, Ned is reduced to squatting in a boatshed in wealthy Portsea. He is avoiding the world, particularly his sister, Angela, who after an accident, is now a paraplegic, confined to a wheelchair, and completely dependent on both her carer, Mai, and Ned - not to mention the income from their family investments. But one day, Ned overhears a conversation between a millionaire property developer and a politician, and realizes that this might be his opportunity to restore their fortunes ... if he has the nerve. 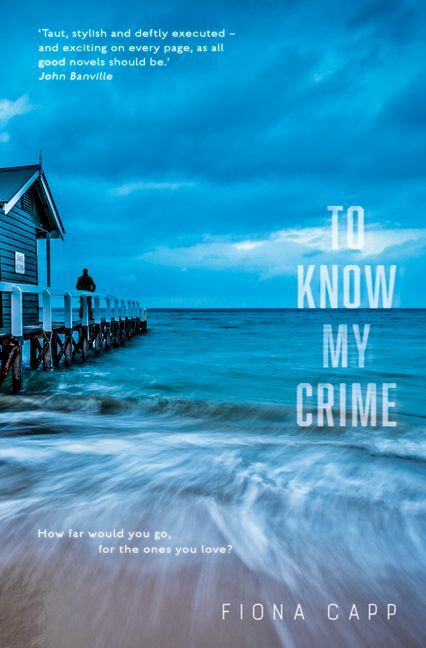 A nail-biting and compelling story of risk, blackmail and the corrosive nature of guilt - and how we all have to live with the consequences of our actions. Fiona Capp is the internationally published author of three works of non-fiction, including That Oceanic Feeling, a memoir about her love for the sea and surfing. She is also the author of three novels: NIGHT SURFING, LAST OF THE SANE DAYS and MUSK & BYRNE. Her most recent book is part memoir, part journey through the landscapes which inspired Australian poet Judith Wright, MY BLOOD'S COUNTRY.